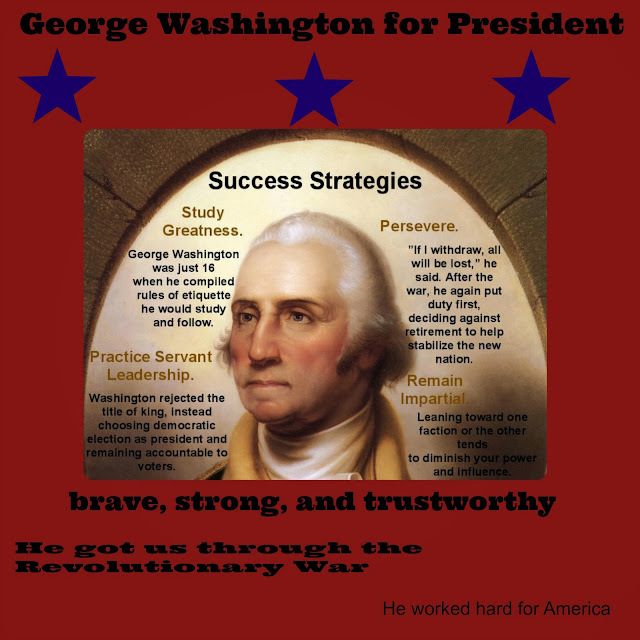 Adam, Kaden, and I were recently given the chance to review YWAM Publishing's book Heroes of History George Washington: True Patriot and it's accompanying Unit Study Curriculum Guide, designed for kids aged 10 and up.. The book and unit study both arrived as downloadable E-Books. Downloadable is not my favorite thing in the world for curriculum, but I'm getting better with it. Happily for me, these two products were both easy to download and print and came in a logical, easy to use order. If you opt to purchase the book and unit study they'll arrive as paperback books, easy peasy, so you won't have to do any downloading. The book is about 224 pages. The first chapter begins with a good "hook" ... George Washington's first glimpse of the enemy, the British, while preparing to fight as a patriot. From there the book tells the story of George Washington's very full and interesting life, from the time he was a young child through his death. George Washington: True Patriot isn't pure hero worship for George Washington. While the book certainly makes George out to be an intelligent, dedicated, strong, wise man, the book also tells of some of his shortcomings, such as the shot that started the Seven Years War between the French and English, a result of George's ambushing French soldiers who were simply carrying a letter from the French government to the governor of Virginia. George, overly eager and lacking experience, had acted in haste and had needlessly killed a dozen Frenchmen. Eventually, many of the British soldiers fighting for George were killed as well and he was forced to surrender. The book tells the successes and struggles of the American Revolution, the creating of a new country, and George Washington's road to becoming president. The book very colorfully paints a picture of the surroundings of Mount Vernon and George's relationship with his wife, Martha. It's very easy, with this book, for the reader to feel they are "there". The study guide is broken down into eight chapters with suggested activities in each. Adam (age 12) and Kaden (age 10) began by answering four review questions from the study guide as they read each chapter. Reading two chapters a day they were able to finish the book and questions in two week. Each chapter took about 15 minutes to read, and the study guide questions took another 10 or so to complete. 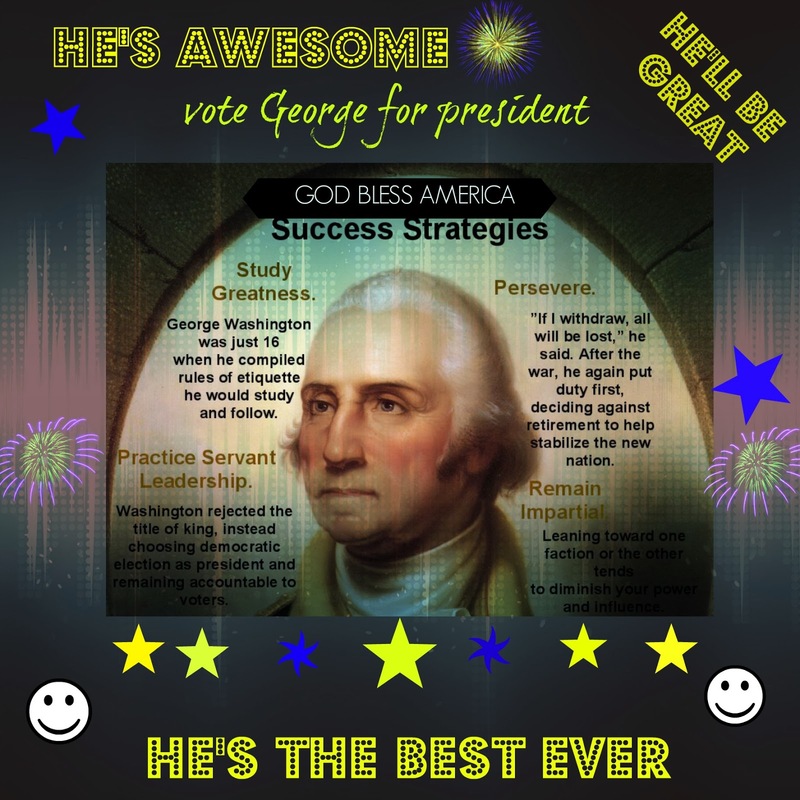 They then made propaganda posters for George Washington's presidential campaign, an idea modified from one in the Hands-On Projects section of the study guides. Following a Creative Writing idea from the study guide the boys each made Pro and Con Lists from George Washington's point of view, one in favor of him running for president and one against. These lists really forced the boys to think and do research outside of the book, to explore more of the economics and mood at the time. Overall, both boys really liked this book and enjoyed the study guide activities. Kaden, in particular, enjoyed the set and, out of the blue, said, "If they have a book like this on Abraham Lincoln I want to read it, but this was a really fun book". Yes, Kaden, they do have an Abraham Lincoln book - in fact, there are 23 books in all in the Heroes in History series, if my math is correct (but they'll soon have one less copy of that Abraham Lincoln book ... I'm not saying no to a boy who wants to do schoolwork!). I found the book to be a good, easy read. I wasn't sure, at first, about the study guide because it seemed more like suggested activities than the type of study guide that I'm used to, but once we got started using it I was very pleased. 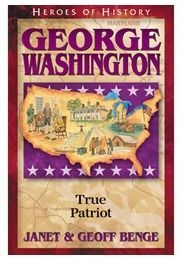 George Washington: True Patriot, recommended for ages 10 and up, is available as a softcover book for $6.99. 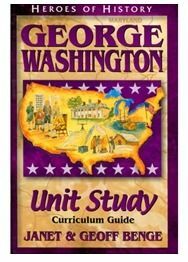 The Heroes of History Unit Study Curriculum Guide: George Washington is available as a softcover book as well for $7.49.